Over the past 11 years of walking alongside my husband as he battled his way out of sexual sin and into victory, I have discovered that my role in his life really is of vital importance. There are things within my power as his wife that I can do either to help him grow into a man of God, or things that I can do that will impede his growth and possibly lead to his failure. Many of these things I have learned the hard way! Let me share three main areas that come to mind as I consider my role as my husband’s helpmate. First of all, I am my husband’s partner. In 1 Peter 3:7 we read that a wife is an “equal partner in God’s gift of new life” (NLT). This means to me that I am my husband’s partner in all things—including his battle with lust. This is not just “his” problem, but something that we must work through together. We have learned to spend deliberate, consistent time both alone and together in prayer and Bible reading. This has knit our hearts together, and has provided a foundation of openness and transparency with each other as we seek to know the Lord more fully and live lives more pleasing to Him. Over time, as we grew together spiritually, we became partners in all areas of life. Support is another thing that my husband has consistently needed through the years. The most obvious form of support, and most important, is that of prayer. A wife usually sees the needs of her husband more clearly than anyone, and must bear him in prayer. I consistently pray specific scriptures over my husband, and have been blessed to see the Lord answer those prayers in my husband’s life. Some general themes that I often pray for my husband include asking the Lord to help him see his need, make him love repentance, shine light on any darkness in his life, make him love the light, increase his character, etc. My husband needs my support in a practical way. As his wife, I must seek to safeguard our home. I try to make sure that our home is a safe place for my husband, and a place in which the Holy Spirit can dwell. I do not want anything in the home that could be a stumbling block for my husband. We have had to make decisions over the years about what all that means. For example, we chose 11 years ago to get rid of any type of TV or movies in our house other than an occasional G-rated movie that we may watch. While to some this may seem drastic, I can truly testify that the spiritual benefits we have reaped have been unending. In direct contrast, I can also testify about some wives I have known who were unwilling to support their husband’s desire in this area, and sadly, they are no longer walking in victory. Many areas in which my husband has needed my support through the years required me to lay down my own desires and wishes. Philippians 2:4 says, “Each of you should look not only to your own interests, but also to the interests of others.” At times this has meant that we don’t go places or on vacations like I have wanted. It has meant that we have had to limit our social events, or say no to people and invitations. I must confess that this has not always been easy for me or without struggle at times. However, the more I have yielded to the Lord in these areas and submitted to my husband, the more blessed and fulfilled I have been personally. And I have had the added pleasure of watching my husband grow in faith and purity. At his request, I have always acted as my husband’s primary accountability partner. However, we have not lived or acted in isolation. We have spiritual elders in our lives that we have intentionally opened up our lives and hearts to. Their encouragement, rebukes, and love have been vital to our marriage and growth in the Lord. 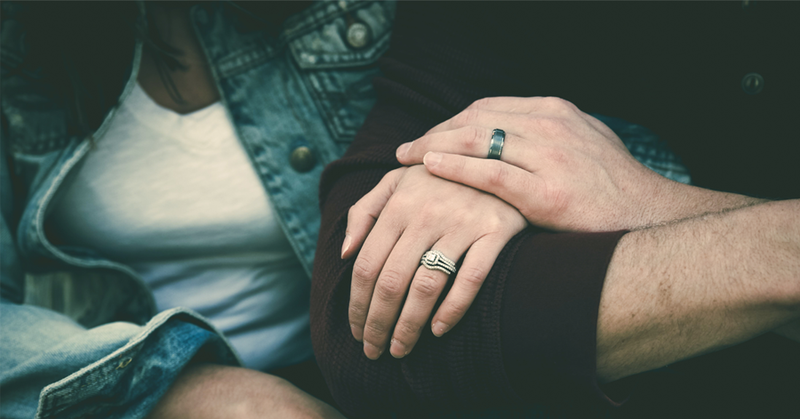 While it’s often better that a wife not fulfill the role of being her husband’s primary accountability partner (at least initially), she will most certainly need to act in tandem with other people who provide spiritual accountability in his life. Discovering my role as my husband’s helpmate has certainly been a journey. It has been filled with growth, pain, joy, and love. But most of all it has been filled with Jesus. He has been our Strength, Redeemer, Guide, and Comforter. He has always been more than enough, and I know Him more intimately because of it. Eleven years of marriage, and I can gladly proclaim that I am so grateful the Lord called me to walk alongside my husband. Shelly Gardner holds both a Bachelor's degree and Master's degree from Indiana Wesleyan University. She currently resides in Atlanta, GA with her husband (a Pure Life Ministries graduate) and their two young children.